Kurt Braunohler is a comedian, actor and podcaster who has committed his career to inserting absurdity into strangers’ lives to make the world a better place. He has an album, a half-hour Comedy Central Special, and his first televised hour of comedy, Trust Me, recently came out on Comedy Central. He appeared in the second season of Netflix’s Lady Dynamite in a recurring guest role, as well as the Judd Apatow produced film The Big Sick, which he also wrote on. On TV, Kurt can been seen (or heard) on Bob’s Burgers, @Midnight, Deadbeat, Comedy Central Presents, Chelsea Lately, John Oliver Stand Up, Getting Doug with High, and as host of IFC’s comedy game show BUNK! He has performed stand-up sets on Conan, The Tonight Show, Late Night with Seth Meyers, and The Late Late Show with James Corden. Kurt can also be heard on the radio on This American Life telling a story he is developing for film. Kurt was featured in Variety’s annual prestigious “10 Comics to Watch” list, named in Time Out New York's list of “50 Funniest New Yorkers,” and Comedy Central’s “Comics to Watch.” Kurt co-created and has co-hosted the continuously sold-out variety show, Hot Tub, for 12 years with comedy writing partner Kristen Schaal, which they continue to host and perform weekly. Kurt has a bunch of podcasts; his relationship podcast, Wedlock, which he hosts with his wife, Lauren Cook, and his podcast about adult friendship, Emotional Hangs, which he hosts with Joe DeRosa. 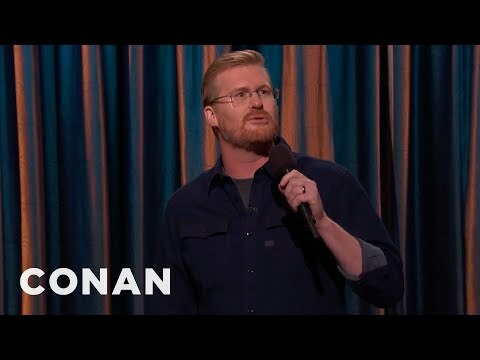 Kurt’s popular podcast, The K Ohle with Kurt Braunohler, features some not-so-standard segments featuring Kurt and guests including Doug Benson and Kumail Nanjiani.